We’re so honored to have won the Excellence in Social Responsibility Award for the third year in a row. 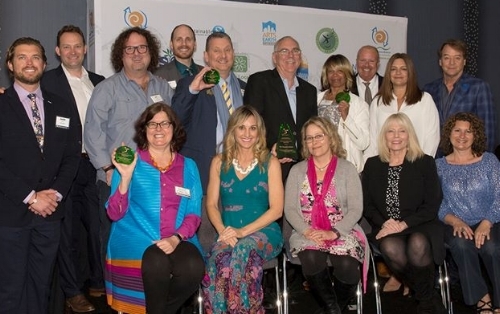 The awards and certificates in recognition and celebration of receiving the 2018 Sustainable Quality Award with sincere appreciation for Global Green's commitment to helping create resilient and sustainable communities and affordable housing. The Sustainable Quality Awards recognize the dedicated service to the affairs of the community and for the civic pride demonstrated by the numerous contributions for the benefit of all citizens of Los Angeles County. Experience a New Community Vision for Pacific Boulevard with #GoHuman SoCal!